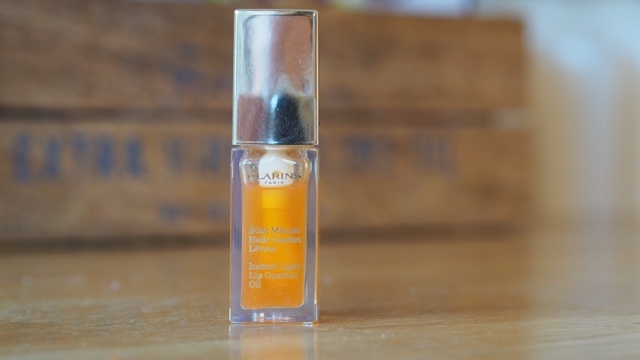 Last year Clarins launched their Instant light range which saw the release of their Instant Light Comfort lip oils. I believe a fairly new concept where they have combined skincare properties such as hazelnut oil & organic Jojoba oil with a lip product. The concept of the product is to hydrate lips with non -greasy oil formula while giving the lips a slight tint of colour, The tint is very minimal by the way. I think these were originally supposed to be limited edition however the when the oils oils out rapidly I believe Clarins decided to bring them back on a permanent basis. I have been keeping the Honey shade in my makeup bag recently (It got lost in the depths of my beauty stash) I have just found it looks really pretty on the lips, You can re apply on the go with ease and not have to worry about getting lipstick all over your face! The formula is not what I was expecting when I originally saw the product. I Thought the oil would be really runny in constancy however it has a bit more substance to it. What is really lovely about this oil is the applicator, It is really soft fat and spreads the product onto the lips evenly. I am really please I dug this out the back of the draw, For £18 i think its a lovely product to carry in your handbag. "TOP PICKS | BEAUTY & BOOKS"